Taylor Swift fans can now enjoy 18 months with amazing photo’s from Taylor Swift. 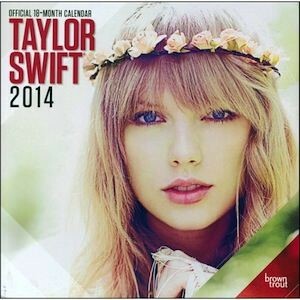 This 2014 Taylor Swift calendar does not offer just 12 months but no it offers 18 months of Taylor Swift. Each month a new photo or photo’s and of course the calendar from that month. Now you can have a nice wall calendar that offers you a glimpse in the life of Taylor Swift.